Ferrabosco, Gibbons, Byrd, Ward, Locke u.a. Witty, effervescent, endowed with an unusual humour, but also sinking into the deep darkness of profound emotions – all these characteristics are frequently and gladly attributed to the British people by their neighbours residing on the mainland. Inspired by the art of the madrigal of the Italian Renaissance, the islanders developed a unique musical style during the 16th and 17th centuries. The boldest harmonies, sudden changes in dynamics, tempo and metre, daring melodic turns of phrase and an extremely complex richness of ideas are the ingredients of this music; even today, we have the impression that it was far ahead of its time. One searches in vain here for a concertmaster in the modern sense, for the parts are all of equal importance. The fantasy, the most popular musical genre for the viola da gamba consort, represents a wide spectrum of human emotions with its compositional variety. Not for nothing, the listener has the impression here that all heights and depths are being explored to the very utmost limits. And it is not by chance that the viola da gamba plays the leading role in this music! There were love, intrigues, languishing and dancing at the French royal court. Louis XIV, Louis XV and their mistresses determined what was “en vogue”. Courtly life hung on silken threads, for only those who presented themselves in the proper fashion were able to secure a position and livelihood. The viola da gamba consort Les Escapades guarantees a glimpse into the colourful, dazzling world of the Sun King with music and entertaining commentaries from the 17th and 18th centuries. Music by Marin Marais, Francois Couperin, Monsieur Forcroy, Marc-Antoine Charpentier, Michel-Richard de Lalande, Jean-Baptiste Lully. Krieger, Bach, Funck, Biber, Ferdinand III, Rigatti u.a. The compositions of this concert programme – of which a CD has also been issued by Christophorus – are from a period of political, philosophical and religious upheaval in Europe. Both the sacred vocal works and the secular instrumental pieces on this programme reflect the tensions between Catholic and Protestant-influenced thought during the early Baroque period. This also led, however, to creative competition in the arts that had an incredibly conducive effect on musical developments after the end of the Thirty Years’ War. 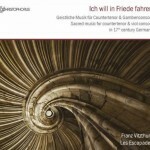 The countertenor Franz Vitzthum and the viola da gamba consort Les Escapades present here the rich variety of this music. The English composer Henry Purcell has gone down in history as the “Orpheus Britannicus”. Born 350 years ago, he died in the year 1695 at the height of his powers, only 36 years of age. His extraordinary importance is primarily based on the great success of his incidental music. Already during his lifetime, individual songs from these semi-operas established themselves independently as “hits” for consort or as art songs with lute accompaniment. In a manner usual for his time, Purcell posed the question of different idiosyncrasies of love: disappointed, fulfilled, passionate or yearning. His contemporaries praised him for having coaxed a musical power from the English language that triggered feelings – a quality that was usually attributed to the Italian language. Purcell’s music is notable for its masterly counterpoint and frequently unexpected treatment of melody and harmony. 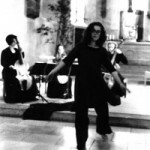 On this programme, you will hear works of Henry Purcell and of his predecessor in office Matthew Locke, the lutenist and viola da gambist John Jenkins and other composers of this late golden age of viola da gamba music. Melancholy was a widespread emotion in the England of the 16th and 17th centuries. It found expression not only in literary, but especially in musical works. 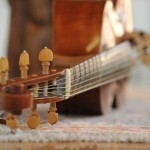 The best-known example is the “Lachrimae” or “Flow, My Tears” by John Dowland, found not only on the CD by “Sting” but also on the programme of the viola da gamba consort “Les Escapades”. “Numerous and varied are the means prescribed by philosophers and physicians to cheer up a sorrowful heart, to distract from those complex and intensive worries and deliberations that so distinguish this malady; but in my opinion, nothing is as present, nothing as powerful, nothing as appropriate as a strong drink, good cheer, music and good society,” wrote Robert Burton (1577 – 1640) in his work “The Anatomy of Melancholy”. 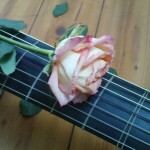 Whether concern over the soul’s well-being finds expression in sacred works, or whether suffering from love blazes its trail through music: one always comes upon deeply moving vocal and instrumental music which, although composed in a highly complex manner, nonetheless goes straight to the heart. The rousing sounds of folk music, as well as a typically “British-eccentric” story about a little dog that falls victim to a horrible murder, are also components of this highly varied concert programme. Already during the late 15th century, the viola da gamba was singled out, in treatises on music, as the instrument of the aristocracy. Whereas the violin was more suitable for itinerant musicians who played dance music, the viola da gamba was an instrument for gentlefolk. An inventory by Henry VIII lists 54 violas da gamba and lutes. Famous viola da gambists were employed at courts. Not only the provision of the instruments was very expensive – a “chest of viols” cost more than the annual average income of a craftsman – but their maintenance also required enormous sums, for the gut strings were imported from various regions in Europe. Learning to play the viola da gamba was an essential component of a courtly education. During the 15th and 16th centuries, group music-making was an important social activity of the mostly noble upper class. Works for “whole consort” (identical instruments) and “broken consort” (different instruments) were composed for this recreation in Spain, France and England. These works reveal extremely complex musical structures. A principal genre of this consort music was the “fantasy”. The present programme sheds light on the varied development of this genre over the course of a period spanning more than 150 years. Spontaneity and improvisation were already distinguishing marks of the English fantasies of the Renaissance. The proximity to folk music is repeatedly evident, for the works are sometimes underlain with a cantus firmus in the form of a chorale, such as “Christe qui lux” or a popular song of the time, such as “Jeune fillette”. This cantus firmus is skilfully worked out in all the parts. Thus we find an early example here of interplay between instruments on a equal footing, as it was later practiced in compositions of the Classical period for string quartet. With their rich and often quite daring harmonies, the fantasies of Henry Purcell surely form a highlight of this programme. 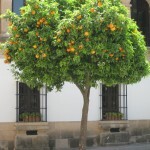 It was during the 16th and 17th centuries that the music of Spain experienced its greatest flowering. Music of the Iberian peninsula absorbed many impulses from Europe whilst maintaining its own unmistakeable uniqueness. A wide variety of cultural influences from all of Europe, North Africa and the Near East made Spain into a homeland of Catholic, Sephardic and Moorish music. Spanish society was always open to musical innovations and magnificent spectacles. At the same time, the traditions of improvisation and variation influenced the sound and musical development of that period. The Llibre Vermell de Montserrat (“Red Book”), one of the earliest polyphonic collections, brings together secular and sacred elements of Spanish music of the High Middle Ages (Ars Nova). Under Alfonso IX, Catalonia became a cultural centre that combined Dutch, French and German influences. There was a stimulating exchange of musicians, instruments and compositions. There were close relationships, e.g. to the court of the Duke of Burgundy, to the Papal Chapel in Rome, to the court of the Sforza in Milan and especially to the Spanish court in Naples. Spain was thus fully involved in the musical life of Europe. Under the reign of the “Reyes Católicos” (Catholic Kings), a domestic political union was implemented that established Spain’s hegemony in Europe. Through numerous conquests oversees, immeasurable wealth was brought into the country, leading Spain to an economic heyday during this “golden age”. However, many cultural impulses were lost due to the persecution and expulsion of Moors and Sephardic Jews from Andalusia. An independent, typically Spanish musical style developed under Isabella of Castilia (1474 – 1504) and Ferdinand of Arágon (1479 – 1516). It was characterised by popular simplicity and plainness, contrasting with the extreme contrapuntal techniques of the Franco-Flemish School. Isabella and Ferdinand each maintained a court orchestra of a high standard. The lists of Isabella’s ensemble record over 20 singers, about 25 choirboys, numerous instrumentalists and chamber musicians. After the Queen’s death, Ferdinand united the two orchestras, thus creating, for the first time, a “royal Spanish orchestra” whose members included Pedro de Escobar and Alonso de Mondéjar. The Spanish music of the 16th century was primarily performed in two places: at the Spanish courts, noble houses, cathedrals and monasteries, but also at the Papal Chapel in Rome. 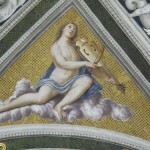 The so-called “Roman School” was created in the late 15th century through the influence of Spanish musicians in Rome. Secular music is represented by a tradition of its own, with “villancicos” and “romances” (ballades). 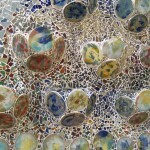 These lied forms were collected in the renowned “cancioneros” which also include unmistakeably Oriental-Arabic sounds. The ideal of Spanish musicians was to have an effect on people’s souls with their compositions. The music was supposed to entertain the spirit, without any exertion of moral or social influences. Feeling, not reason, was to be the judge of beauty. Dance, as the expression of vitality, was accompanied by music at all times. Instrumental dance movements (e.g. courante, sarabande, gigue) frequently occur in the music of the 16th and 17th centuries. This suggests that instrumental music and dance should be combined in order to encounter Early Music by means of modern forms of expression. Solve the enigma of striking the hour with us, and travel with us through a musical Europe! 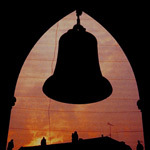 Since time immemorial, the peal of bells has inspired numerous composers to use this special sound in instrumental music. The rich overtone spectrum of this instrument and its flexible tone production imitate the specific sound experience of a bell tone with particular clarity. Moreover, the ringing of bells of various sizes can be made distinctly audible with the different instruments of the viol family, ranging from descant to bass. 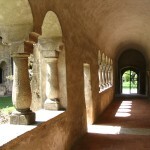 The characteristic peal of churches and cathedrals, established by the tuning and size of the bells, found access into certain compositions of the 17th century. Some of these will be performed at this concert. 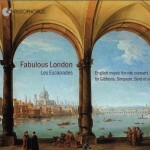 Let yourself be enchanted by the viola da gamba consort “Les Escapades” and the bell sounds on the viola da gamba with original works and adaptations by Edward Gibbons, John Jenkins, François Couperin, Louis Couperin, Sainte Colombe and other bell composers. The programme entitled “La Gamba” sheds light on the wide variety of compositions for viola da gamba and the gradual development from works exclusively influenced by vocal music to purely instrumental works over a period of 150 years. With music from England, Spain and France, and compositions by Purcell, Byrd, Cabezòn, Bruna, Ortiz, and Charpentier, an interesting and exciting musical journey awaits you! Settings of well-known Advent carols by Michael Praetorius, atmospheric pastorals by Pasquini, Finger and Corelli, as well as works by English composers and a wonderful Suite for Three Bass Violas da Gamba by Nicolai get us in the mood for the Advent and Christmas season. We plan our vocal programmes with Monika Mauch (soprano) and Franz Vitzthum (countertenor). We shall be glad to send you, upon request, all programmes in detailed sequence as well as our calculation of expenses.